Dr. Aoife Morrin’s field of research encompasses electroanalytical device development for environmental and biomedical applications. Specifically, her work entails developing materials with improved performances due, for example, to nanostructuring or via compositing. Materials of interest include stimuli-responsive materials such as conducting polymers, hydrogels and nanomaterials thereof. An example of a current research project is the fabrication of flow-through, responsive structures comprising these materials in microfluidic channels for use as dynamic chromatographic phases, sensors, drug delivery, switching valves, etc. Printed electronics is another area where Dr. Morrin has a research interest. 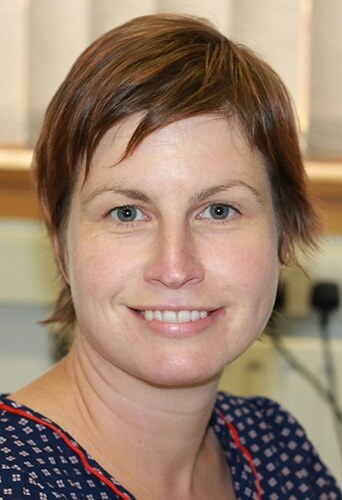 Aoife has extensive experience in screen- and inkjet- printing of functional materials. Printing of these materials onto disposable electrode platforms for fabrication of sensing devices have been shown to have unique behaviours and are being applied to several specialised electrochemical sensing applications spanning areas such as urea in serum, ammonia refridgerant monitoring, glucose monitoring in sweat and e. coli detection.